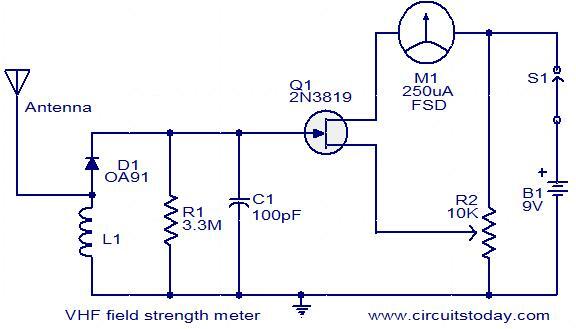 This Field Strength Meter has been specially designed for our FM bugs. It is capable of detecting very low power transmitters and will assist enormously in peaking many of our FM transmitters that have a coil in the output stage that can be adjusted for optimum output. 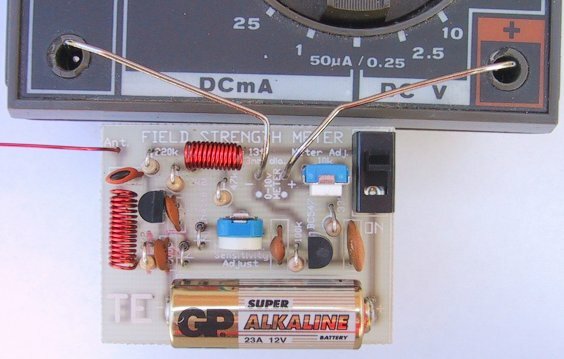 The NJQRP Sniffer is a tuned-input, multiband-capable FSM for the HF amateur bands that is easily constructed using commonly available components. 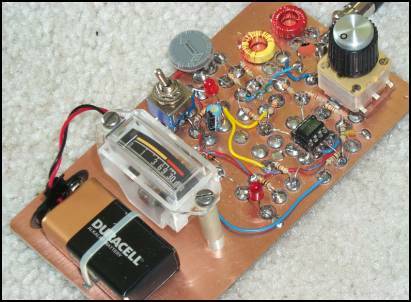 A well tuned antenna system works like a dummy load, i.e. the SWR is 1.2:1 or below but the hunting range is low. What's wrong? Insufficient radiation? How to know that? Yes, this is what the article about.